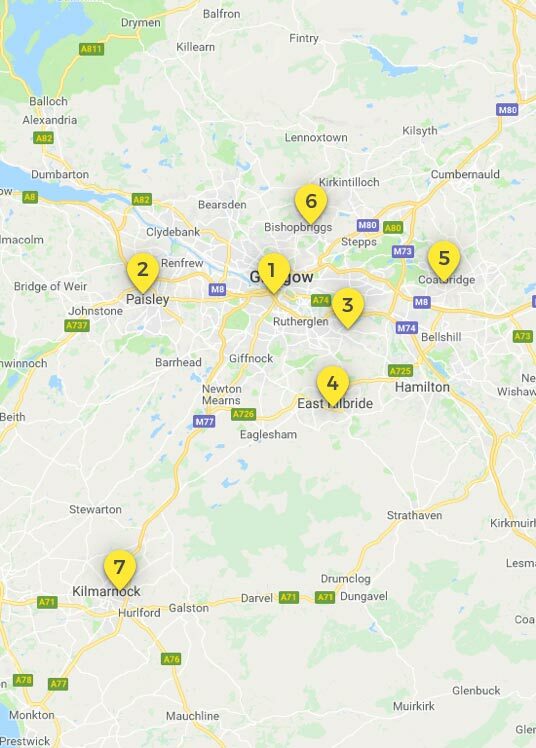 We have multiple sites stretching far and wide across central and western Scotland so we’re bound to have a facility near you. Our leases are flexible too, so you’re not tied into lengthy agreements when you don’t need to be. We take great pride in our first-class customer service and it really shows! Our customers have rated us 5 stars on TrustPilot. Don’t let your archived documents or excess inventory stock take over precious working space. Keep them secure at one of our facilities and grab items and go as you please. Our self-storage units are the perfect option when you’re looking for a home for your things when the decorators are in or if you’re in the midst of a big move. Whether you’re stuck in limbo between student flat leases, jetting off on a year abroad, or you simply can’t face hauling your worldly possessions back home for the holidays, Storage Vault are on hand to keep your belongings safe and sound! Our CoVault work spaces are a fantastic, flexible alternative to traditional rented office space, perfect for growing start-ups and SMEs. For one simple fee, you’ll have 24 hour access to a work space kitted out with meeting rooms, a kitchen, lounge, and furnished office space, as well as all your utilities wrapped up into one neat bundle!